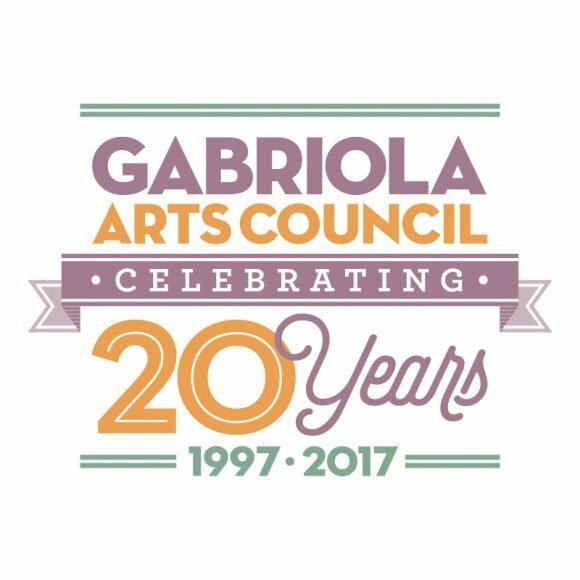 The Gabriola Arts Council is being honoured with the Islands Trust Community Stewardship Award in the Organization Category. The Islands Trust Council announced the recipients at its June 22nd meeting on Lasqueti Island. Trust Council recognized four individuals and four groups from among 18 nominees for their support for the Islands Trust’s mandate to protect and preserve the Trust Area and its unique environment and amenities. Charlie Cheffins, President of the Gabriola Arts Council, acknowledged the honour by saying, “This award recognizes two decades of hard work and dedication by hundreds of Gabriola Arts Council board members, staff, and volunteers. Together, these people have built a thriving Arts Council that is committed to creating a community that provides a rich cultural life. This award is testament to the value our community places on arts and culture, and will inspire the current staff and directors to even greater things in the years to come. As we near the end of the renovation project at the Arts & Heritage Centre—a true example of community stewardship—we’re already looking ahead at how we might serve Gabriola even better in the future. “The GAC board would like to thank the Islands Trust Council for this honour and recognition; our nominators Susan Yates and Judith Plant (both previous recipients of a Stewardship award); and especially our members and supporters in the community for enthusiastically participating in our events and programs. The award will be presented at a Local Trust Committee meeting on Gabriola this Fall. ← Canada Day Celebrations on Gabriola!